American Auto-Matrix offers some of the most innovative network control solutions for building automation systems on the market. This industry leader goes the extra mile to develop programs that put facility managers and building owners in direct control of their building from anywhere and from anytime. Watch this brief video to learn more. American Auto-Matrix provides integrated solutions for building automation systems. Specific applications include HVAC controls, energy, fire and security, closed circuit television (CCTV), light process, laboratory and fume hood controls. 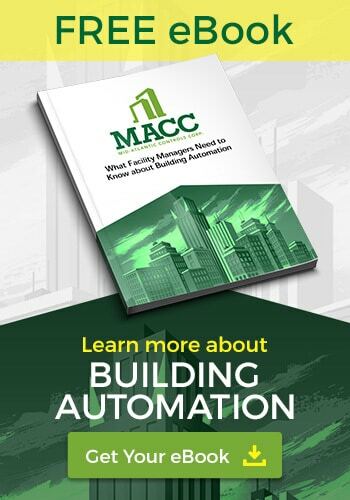 AAM designs and manufactures a wide range of solutions for building automation that incorporate the BACnet protocol in its system architecture. MACC is a licensed provider and installer of American Auto-Matrix products. Contact us today to discuss an existing or new Auto-Matrix system.